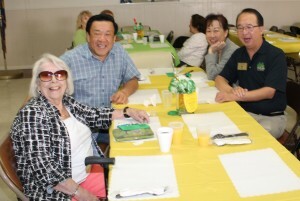 Joan Merino, City Clerk Vince Chang, Mayor Pro Tem Peter Chan and Jenny Chan enjoyed a delicious Sausage, Eggs and Pancake Breakfast at American Legion Post 397 on March 14. This is the 5th Annual Pancake Breakfast Fundraiser held at the post. James Carroll manned the stove where he scrambled the eggs, flipped the pancakes and cooked the sausage. 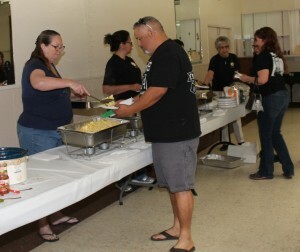 Members of the Ladies Auxiliary served breakfast to the hungry guests. 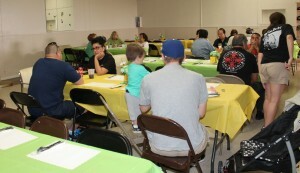 The guests enjoyed good food and conversation. 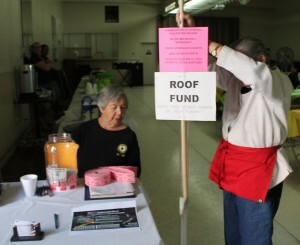 Post 397 is collecting funds to put a much-needed roof on their building located at 338 S. Ramona Avenue in Monterey Park. 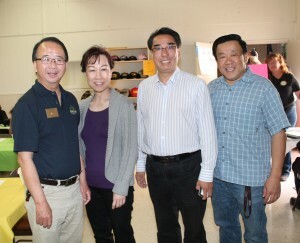 Mayor Pro Tem Peter Chan, Jenny Chan, newly elected Council candidate Stephen Lam and City Clerk Vince Chang appreciated the breakfast served by the post. The American Legion Post 397 also rents out their large hall to the public. 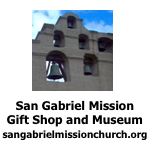 Please call 626-571-9211 for more information.